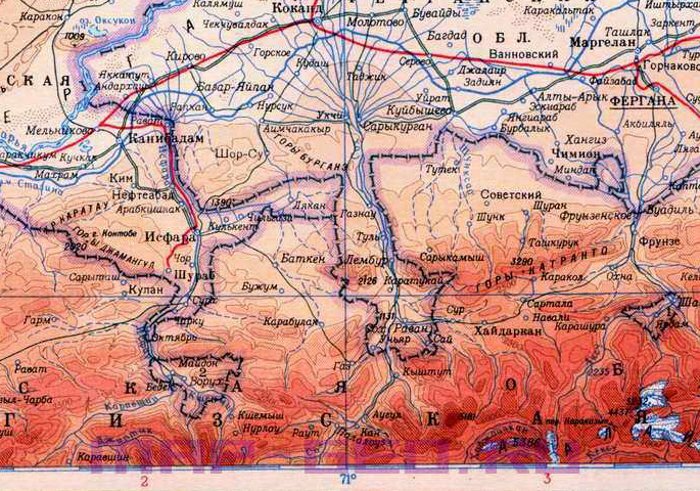 The Kyrgyz-Uzbek border in the Fergana Valley remains closed and inaccessible on both sides. The status quo leaves citizens of respective countries a few choices to deal with it and resolve daily issues: buying food, trade, and observing religious rituals. 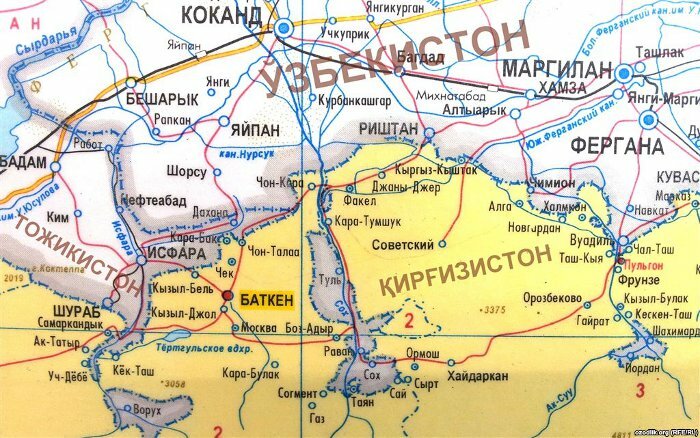 Unconfirmed information suggests, that a 70-year person was buried in the village of Hushyar on 23 January 2013, although the village has been blockaded as part of the Sokh enclave (a patch of Uzbekistan in the Kyrgyz territory) since early January. The Uzbek journalist Bakhadyr Elebayev posted details on his Facebook page. “Uktam-aka died in a hospital in [the city of] Fergana and his body had to be transported to Sokh for burial,’ residents of Rishtan town say. ‘We spent a whole day thinking over ways of delivering the body and explaining the matter to border guards. After long talks, Kyrgyz military servicemen came to the border checkpoint of Rishtan, took the body and delivered it to the Sokh enclave border. The deceased person’s relatives came there, took the body to Hushyar in the enclave and buried him there at around 1700 hours. 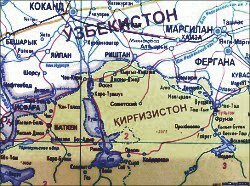 So, the Kyrgyz will let us pass [to and from the mainland Uzbekistan] only if and when we die,” Sokh residents currently in Rishtan say. “All the roads were blocked by both sides following the events on 5-7 January: the Kyrgyz border guards blocked roads on their side and the Uzbek border guards followed suit. Obviously, residents of both Kara-Shura and Shakhimardan are cut-off from the rest of the respective countries. This left everyone – us and Uzbeks – in a stalemate. But our authorities at least delivered some food and fuels to Kara-Shura. Nobody is helping those in Shakhimardan and they are running out of foodstuff. “There are people making profit even in this situation. Owners of Kyrgyz houses bordering Shakhimardan are offering a very expensive transfer from the enclave to the mainland. On the other hand, Kyrgyz border guards are bringing food to Shakhimardan and selling at outrageous prices. It is very difficult for those in Shakhimardan these days. There is no industry there, no employment opportunities, no cultivable land, so they are forced to seek employment with Kyrgyz citizens for meager wages. But they are deprived of even that opportunity. “There is also the problem of bussing people to their workplace. During the Soviet times, many Uzbek citizens worked at the Kadamjay Antimony Factory; some continued working there even after the USSR collapsed. They were obviously crossing the border everyday. Well, now they are unable to get to their work! I need to cross Shakhimardan myself to get to my job. If I wanted to do that now, I would have to shell out 700 kyrgyz soms [some 15 USD] but I cannot pay this astronomic sum every day, so I am staying home. “You can reach Shakhimardan from Fergana and Sokh from Rishtan. But for that there has to be a taxi driver you know well, who in turn must know well the border guards. Even before, taxi drivers could help even Satan himself, not only a local resident with no documents or a foreigner without a visa, to cross the border. Nothing has changed in that scheme, except for the price – it is much higher lately,” says a Shakhimardan resident employed in Fergana.